SonicWeb, the Internet radio player and recorder, has received a major update bringing great new features. Along with a fresh look, the app now lets you export recordings, add your own stations, and edit track information. SonicWeb provides a vibrant list of features to help you get and keep the music you want. You can select from new, popular, or recommended stations and filter by genre. There are over 2,000 free stations to choose from or you can add your own. The app automatically pauses and resumes playback based on your active Wi-Fi connection. You can also listen offline to prerecorded songs on your playlist. With the new export feature, you can send your songs to your Mac to build your own music library. Or, just listen to your recordings with iTunes or your favorite music player. 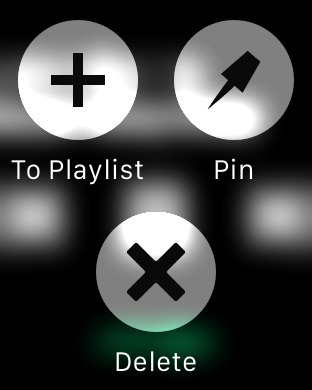 SonicWeb also provides Apple Watch support, so you can control your tunes from your wrist. Pin a song, add it to your playlist, or delete it. SonicWeb is designed for iPhone and iPad. It is available for $3.99 on the App Store.